Musica infantil Cristiana es una aplicación gratuita que te permitedisfrutar de alabanzas y coritos para que los niños puedan creceren su relación con Dios de manera divertida y amena. Especial paraque disfrute toda la familia Cristiana! NUEVOS EXTRAS Y RECURSOS(dentro de la APP): * Miles de imágenes cristianas para compartiren whatsapp, twitter, facebook messenger y las redes sociales! *Seccion especial con las promesas de la Biblia ordenadas portematica! * Predicas y Enseñanzas de la Biblia * Humor Cristiano ySano para disfrutar * Reflexiones Cristianas Cortas * Como SerSalvo * Materiales para evangelizar y Compartir! * Musica para orar* Curiosidades de la Biblia * Poemas Cristianos * ImagenesCristianas EN INGLES * Que leer en la Biblia...? * Plan 20 dias conDIOS - Devocional de oración * Canciones Cristianas para niños envideo * Los nombres de Dios * Recursos para Lideres de Alabanza *Frases de Jesus * Recursos para el Liderazgo Cristiano * FrasesCristianas Cortas para Compartir en las Redes! * Familia Cristiana* Matrimonio Cristiano * Liderazgo Juvenil * Noviazgo Cristiano *La Gran Comisión de Jesús * Bosquejos e ilustraciones para Predicas* Videos Animados de la Biblia * La Biblia en Audio * Breve resumende la Biblia * Karaoke Cristiano * El poder de la oración *Estrategias para evangelizar * ... y Miles de Recursos para llevarla Palabra de Dios al mundo! - La Santa Biblia, Reina Valera 1960 -Lee todos los libros del Antiguo y Nuevo Testamento de la SantaBiblia en Español - Comparte o envía hermosos Foto-Versículos -Disponible para escuchar el audio de cada capitulo de la Biblia! -También puedes ayudar a difundir la palabra del señor y alcompartir esta aplicación con tus amigos y seres queridos. 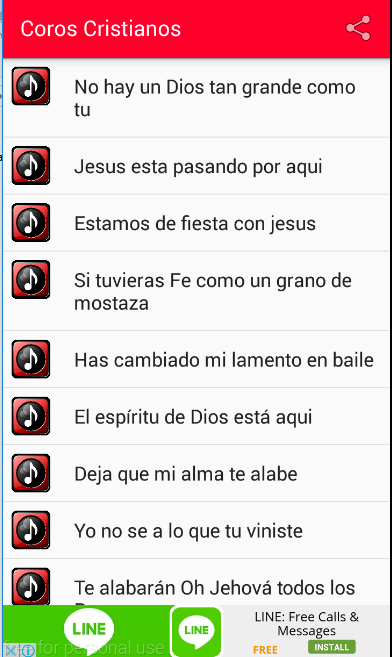 Estasson algunas de las canciones que encontrarás dentro de la app paraque disfruten los niños y toda la familia: - El arca de Noe - Dioshizo - El amor de Dios es maravilloso - La historia de Jonás -Multiplicación de peces - Yo tengo un amigo que me ama - Dios mecuida a mi - Daniel y los leones - Todo es posible para Dios -Padre de la creación - Escapa por tu vida - La historia de Jose -Jacob es muy valiente - La parábola del sembrador - Dios está aqui- Alabaré - Cristo ama a los niños - Espíritu Santo ya llegó -Vamos a celebrar - En paz me acostaré - Dios hizo los animales - Eltiempo de cantar llegó - El sapo y su amigo Jesus Disfruta deimagenes cristianas y utilizalas para sembrar esperanza y fe enotros! >>> Estas son algunas de las categorias de imagenesque podras disfrutar en la app: - Aliento - Alabanza - Paramomentos de Afan - Ayuda - Bendición - Confianza - Consuelo -Defensa - Dirección - Esperanza - Fidelidad de Dios - Fortaleza -Gozo - La Palabra de Dios - Liberación - Matrimonio - Noviazgo -Jovenes Cristianos - Misericordia - Mujeres Cristianas - Hombres deValor - Imagenes para Niños - Oración - Paz - Perdón - Presencia deDios - Prosperidad - Amor de Dios - Jesus - Protección - Momentosde Necesidad - Refugio - Restauración - Adoración - Salvación enCristo - Imagenes para Evangelizar - Sanidad - Victoria - VidaAbundante - Vida Eterna - La Gran Comisión - Comenzar el díabendecido - Descansar en bendición - Imagenes para Navidad -Imagenes para Año Nuevo - Imagenes para Pascuas - Imagenes paraCumpleaños - Frases de Jesus - Características de Dios... y muchomas!!! Utilízalas para evangelizar cada día y enviar un mensaje deesperanza y salvación a tus contactos... CUMPLE CON LA GRANCOMISIÓN DE JESUS! Christian Children's Music is a free applicationthat lets you enjoy praise and choruses for children to grow intheir relationship with God in a fun and entertaining way. Specialto enjoy all Christian family! NEW EXTRAS AND RESOURCES (within theAPP): * Thousands of Christian images to share on whatsapp,twitter, facebook messenger and social networks! * Special Sectionwith the promises of the Bible ordered by theme! * Preaching andteaching of the Bible * Humor Christian and Sano to enjoy * ShortChristian Reflections * How to Be Saved * Materials to evangelizeand Share! * Music to pray * Curiosities of the Bible * ChristianPoems * Images Christian ENGLISH * To read in the Bible ...? * Plan20 days with God - prayer Devotional * Christian Songs for ChildrenVideo * Names of God * Resources Leaders Praise * Phrases Jesus *Resources for Christian Leadership * Short Christian phrases toShare Networks! * Christian Family * Christian Marriage * YouthLeadership * Christian Courtship * The Great Commission of Jesus *Sketches and illustrations for Sermons * Animated Bible Videos *The Bible Audio * Brief summary of the Bible * Karaoke Cristiano *The power of prayer * Strategies to evangelize * ... And thousandsof resources to bring the Word of God to the world! - The HolyBible, King James 1960 - Read all the books of the Old and NewTestaments of the Holy Bible in Spanish - Share or send beautifulphoto-Verses - Available to listen to the audio of each chapter ofthe Bible! - You can also help spread the word of the Lord and toshare this app with your friends and loved ones. These are some ofthe songs that find in the app to enjoy children and the wholefamily: - Noah's Ark - God made - God's love is wonderful - Thestory of Jonah - Fish Multiplying - I have a friend who loves me -God takes care of my - Daniel and the Lions - Everything ispossible for God - Father of Creation - Run for your life - Thestory of Jose - Jacob is very brave - The Parable of the Sower -God is here - Alabaré - Christ loves children - Holy Spirit hasarrived - Let's celebrate - In peace I will lie down - God madeanimals - The time of singing came - The frog and his friend JesusEnjoy Christian images and use them to sow hope and faith inothers! >>> Here are some of the categories of images thatyou can enjoy the app: - Breath - Praise - For moments Afan - Help- Blessing - Confidence - Consuelo - Defense - Address - Hope -Faithfulness of God - Strength - Gozo - The word of God - Release -Marriage - Courtship - Christian Youth - Mercy - Christian Women -Men of Valor - Pictures for Kids - Prayer - Peace - Sorry -Presence of God - Prosperity - God's Love - Jesus - Protection -Times of Need - Refugio - Restoration - Worship - Salvation inChrist - Images for Evangelizing - Health - Victoria - AbundantLife - Eternal life - The Great Commission - Start the day blessed- Rest in blessing - Images for Christmas - Images for New Year -Images for Easter - Images For Birthday - Jesus Phrases -Characteristics of God ... and much more!!! Use them to evangelizeevery day and send a message of hope and salvation to your contacts... MEETS WITH GREAT COMMISSION OF JESUS! “Christian Music Ringtones Free” feature a collection of the mostpopular “Christian music” which includes Christian songs, gospelsongs, and hallelujah songs that will instantly make you be intouch with your Christian faith again. If you're a true devotedChristian and if Jesus is your lord, this “awesome ringtone app” issimply perfect for you! Want to calm down and relax your busy mind?Don`t worry, we have a quick solution - we are bringing youcarefully picked cool Christian music tones and sound effects. Setthese melodies as contact ringtones and identify a caller easily;set ring tones as sms notifications; also, set gospel songs as“alarm sounds”, timer or some other alert. All your friends willcopy your “phone ringer sounds”, trust us! Just download this greatsmartphone app for free an follow the instructions! Features: Thisis the “best ringtone app for Android™”! - High quality messagetones, ring tones and sounds for your mobile phone; - Includes 15phone sound effects: Christian music and Christian songs, Greatesthits of Christian songs, Christian music worship, Christian choirs,Christian praise, music for prayer, music to feel the presence ofGod, music for Christ, etc. - Easy to use interface: just tap onceto preview the sound and hold to set it; - Set as a ring tone, SMSnotification alert, alarm sounds or assign it to specific contacts;- Completely free, this is the full version; - Compatible with 99%mobile phone devices; - Christian Music Ringtones Free are the mostamazing free music ringtones that you must have! Don't you hate itwhen you're in the crowd and someone's phone starts to beep justlike yours so you get mistaken? Well, it's over with that now –obtain these free ringtones for Android and your phone ring toneswill be absolutely unique. Best Christian songs sound effects willmake you move by boosting your energy levels and cheering you up.What's more, everyone will think you're so cool when they hear howyour phone rings. Be among the first to have the “best smsringtones” and show off with these mp3 “phone ringtones loud”.Whether you've got a text message notification alert or an incomingcall, your “top Christian ringtones” will win over everybodypresent. Why would you hang on to one and the same default Androidringtone when you can spice it up with this fabulous “sound effectapp”? Waste no more time and get these Christian Music RingtonesFree right now! Not only will you instantly fall in love with greatgospel songs and Christian music, but you'll also feel crazy aboutthe lovely graphics with cute emoticons – one for each melody!Download this most popular ringtones totally free of charge andenjoy listening to them. Maybe you won't be able to pick yourfavorite sound effect so use them all. Set one as a notificationfor text message, as a call ringtone, as the alarm sound, or assignit to specific contacts – the choice is up to you! “Free Christianringtones” are also a part of this great collection, just find theone that suits you. This amazing free app for mobile devicesfeatures modern mp3 music clips great for everyone who love“popular Christian songs 2015”. We offer you the best Christianmusic genres: Christian ballad, Christian salsa, Christian wagons,Christian bachata, instrumental Christian, contemporary Christian,Christian electronics, Christian funk, Christian reggaeton,Christian children, Christian jazz, Christian pop, Christianreggae, and Christian rock. Set easily lovely modern tones, tunesand melodies and simply forget about the ringtone maker apps. Stopwasting your time on cutting popular 2015 remix songs when topChristian songs can be yours for free simply by pressing thedownload button now! 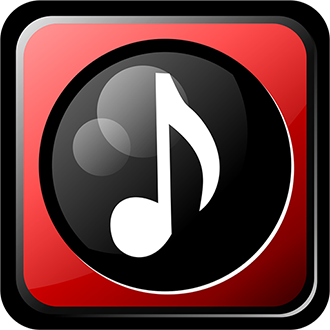 DISCLAIMER: Music clips used in this app arebelieved to be under public domain license and/or Creative Commons’license. Please notify us immediately if you own rights and it willbe removed! Ahora podés cantar tus coritos favoritos con tu celular• Más de 100coros cristianos con acordes para guitarra. • 3 temas parapersonalizar tu aplicación como más te guste.• Fotografías de lasactividades de Instituto Misionero.• Acceso directo a la página weboficial.¿Tienes problemas para descargar o instalar laaplicación?Escríbenos a [email protected] Facultad de Ciencias de la Salud, de la UniversidadAdventista del Plata, Argentina.Now you can sing your favoritechoruses with your cell• More than 100 Christian choirs chords.• 3themes to customize your application as you like.• Photographs ofthe Missionary Institute activities.• Direct access the officialwebsite.Do you have trouble downloading or installing theapplication?Write to [email protected] of Health Sciences, the Adventist University ofPlata, Argentina. Make your phone or tablet sing with the free app from TheTabernacle Choir at Temple Square. Since 1847, America's Choir haslifted their voices and lifted spirits around the world. Now carrythe historic 360-member chorus wherever you go. - Stream musicanytime. Enjoy old classics. Discover new favorites. - Explore aninspirational and relaxing library of sacred music. - Hear theChoir in person: check upcoming events and purchase tickets. -Follow Choir news on the blog. - Order your favorite albums, books,and DVDs. - An official app from The Church of Jesus Christ ofLatter-day Saints. Music for Prayer is a special and unique application, withinstrumental music that has been selected with the intention ofhelping you in your moments of prayer and personal meditation withGod. This application has more than 3 hours of uninterruptedinstrumental music. Characteristics: ✓ Simple and practical design★ ✓ More than 12 hours of instrumental music ★ ✓ Play music quicklyand easily ★ ✓ Spanish, English and Portuguese ★ ✓ With verses andstudies that will help you in your prayers ★ Download right nowAdoration Music to Pray and start enjoying this wonderful tool.